Reynolds Multicultural Enrichment Council, in conjunction with the National Committee for U.S.-China Relations hosted a live webcast China Town Hall on October 16, a national day of programming on China involving 70 cities throughout the United States. A group of more than 50 people gathered in the Massey Library and Technology Center for the event which featured a live webcast with Jimmy Carter, 39th president of the United States followed by a presentation by Professor Virginia Bower of the University of the Arts in Philadelphia on Chinese Art entitled, "The Forbidden City - Forbidden No More." 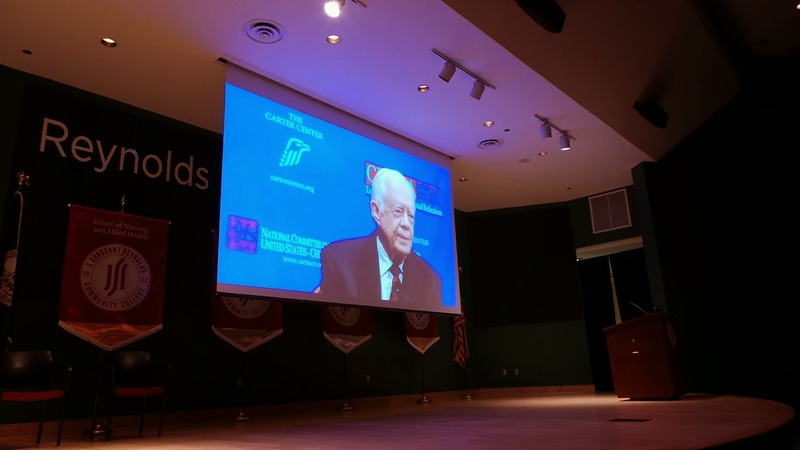 President Carter's remarks centered on how the United States and China cooperate to achieve global solutions to some of the world's most critical issues including economics, climate change, security and trade. Professor Bower discussed the art collection of the Imperial Palace in Bejing - a timely topic as some of those pieces are part of the Forbidden City collection currently on exhibit at the Virginia Museum of Fine Arts. Reynolds Scholarship Program Manager Nichole Page recently held a Scholarship Information Workshop on the Parham Road Campus. Over 75 students attended the event which provided students with information on how and when to apply for Reynolds scholarships, how to write essays and how to apply for external scholarships. Reynolds offers a variety of scholarships to students with diverse interests and backgrounds. Every year, Reynolds awards scholarships to students in excess of $350,000 with individual scholarship awards ranging from $100 to $4,000. Reynolds scholarships are established by our Educational Foundation and awarded by the Reynolds Scholarship Committee. For more information on Reynolds scholarships, contact Nicole at 523-5084, email her at npage@reynolds, visit her blog at www.reynolds.edu/scholarships or connect with her on Twitter at @reynoldsscholarships or through the Scholarship Office Facebook page. In an effort to increase the visibility of community service and encourage students to serve in their communities, the Office of Student Life hosted Reynolds Serves RVA events this week on the Parham Road and Downtown campuses. Reynolds Serves RVA was originally called Service Day, an event that has not been held in the past few years. 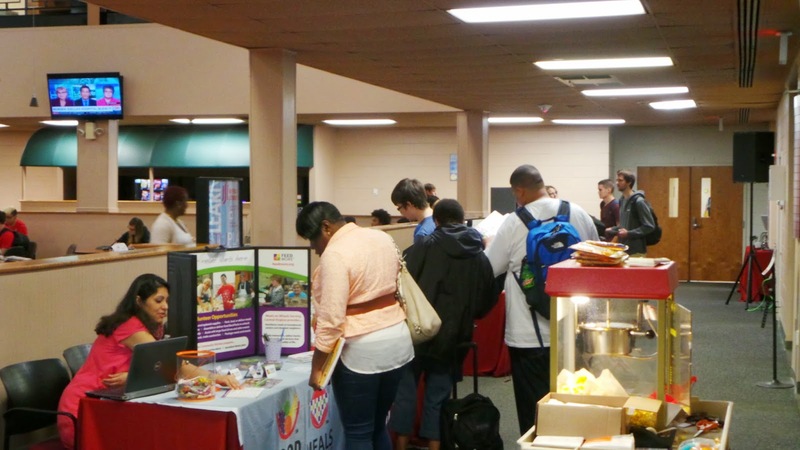 The first Reynolds Serves RVA event was held on the Parham Road Campus on Wednesday, October 15. 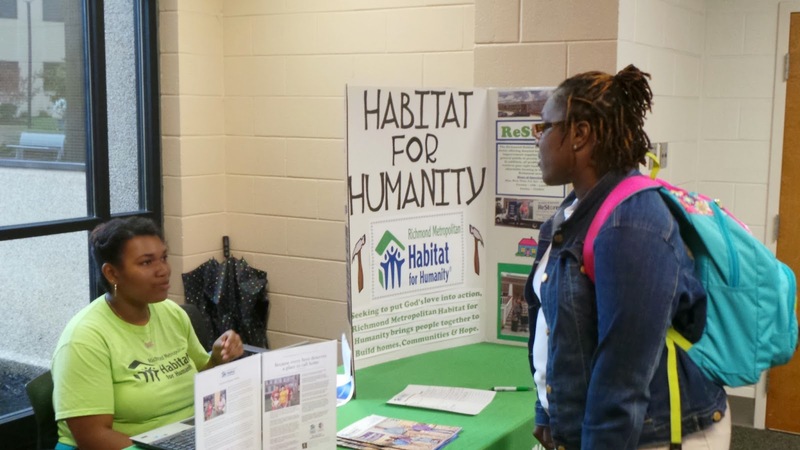 Several non-profit organizations were in attendance including HandsOn Greater Richmond, the Central Virginia Food Bank, Habitat for Humanity, Bark, and The League of Women Voters - all very important, large, and selfless organizations that have served the communities of Richmond and the surrounding counties for years. As soon as students entered Burnette Hall on Wednesday, a vibrant and engaging atmosphere immediately drew them in. A DJ played a variety of contemporary music for their enjoyment, whether they were taking part in the event or simply socializing with their peers at a table by the café. Representatives from the non-profits were friendly and informative providing interested attendees with information on the plethora of volunteer activities and positions their organization offered. 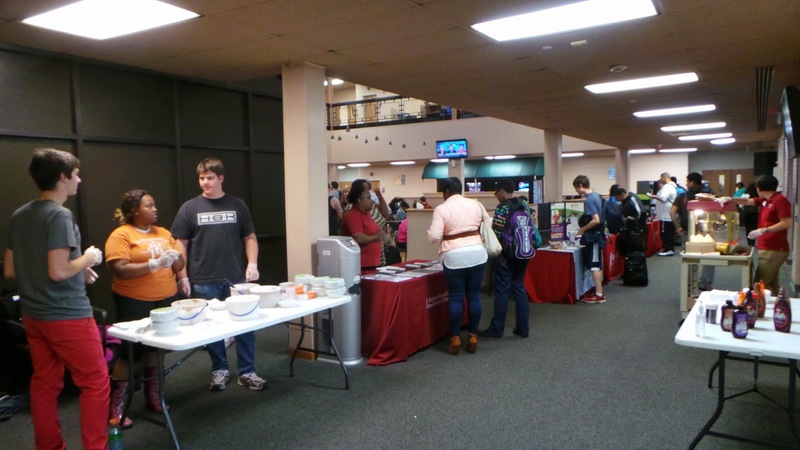 In order to encourage students to gather information and explore all the non-profits in attendance, Student Life offered students ice cream with various toppings for stopping at each exhibit and obtaining a signature. Student Life also hosted a table of their own to promote the many upcoming events this semester, and handed out popcorn to all students attending. 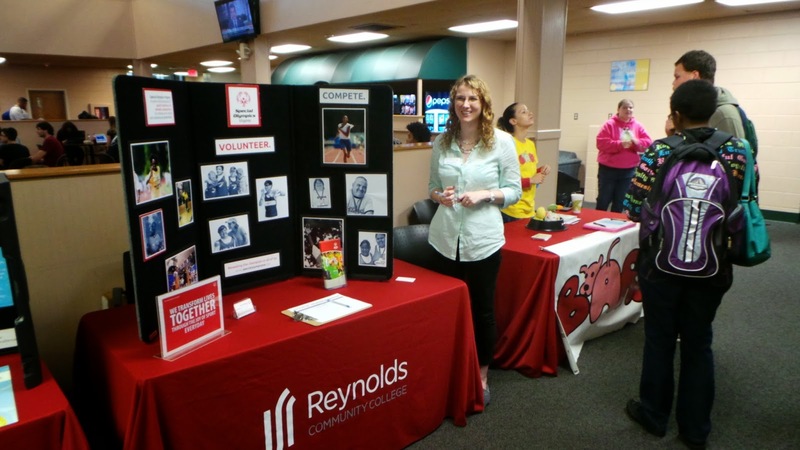 Community service is recognized as a very important venture here at Reynolds Community College, and as such students, faculty, and staff are encouraged to be involved in their own communities and give back. The Reynolds community has historically been active in a variety of service projects, philanthropy endeavors, and drives for food, clothing, and various supplies. A second session of Reynolds Serves RVA took place on October 16 at the Downtown Campus. If any students are interested in serving their communities, being involved in a service club, or taking part in a service project they can contact The Office of Student Life at studentlife@reynolds.edu, or visit their offices on the Downtown and Parham Road campuses. Reynolds student Dylan Chaplin - Dylan is serving as a PR Assistant as well as a Student Ambassador. He also served as the Vice-President of The H.E.A.R.T Service, which is a community service and civic engagement club designed to create connections between Reynolds and its surrounding communities. During his first two semesters at Reynolds he successfully completed the college's Leadership Program, JSR LEAD. In his spare time he likes to blog. Our campus police department plans a Safety Day Fair every year with its goal being to educate the college on personal safety, criminal minds, and warning signs. This year’s event has been a work in-progress since the previous Safety Day Fair in September 2013. In order to organize the event, Sgt. Kimberly Talley-Bryant reached out to several departments in the surrounding counties requesting their attendance. The agencies that participated in this year’s Safety Day included: Henrico Police and Fire Department, Chesterfield Police and Fire, Richmond Police Department, Hanover Sheriff Department, Steven Conlon with the FBI National Academy, and Dana Schrad with Virginia Associations of Chiefs of Police. 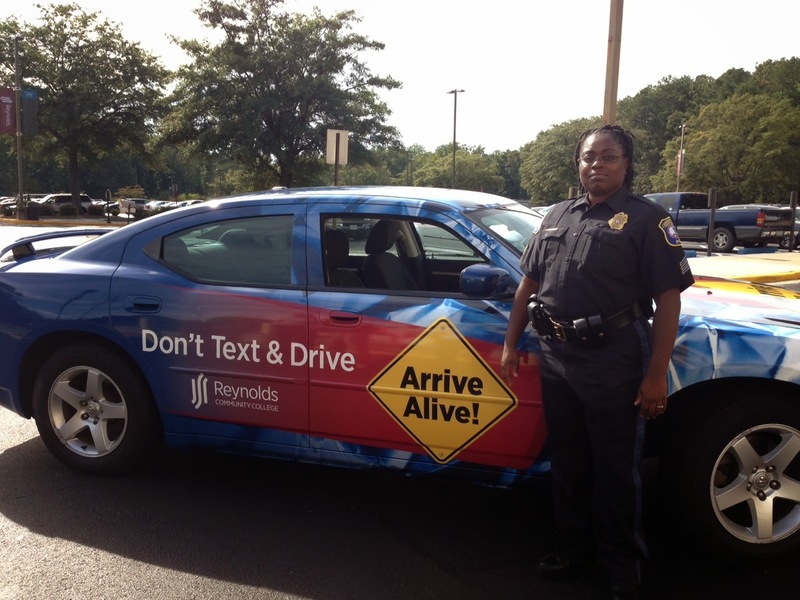 This year’s Safety Day offered a texting-while-driving simulator, special guests that spoke on safety, and several tables hosted by representatives from the various agencies in attendance. Students flocked to the many tables for information on safe habits, information on the agencies, and career opportunities - the representatives from each agency were more than happy to provide answers to questions and other information requested by the students. Our campus police has done an excellent job on a day-to-day basis making the Reynolds community a very safe to work, study, and grow.